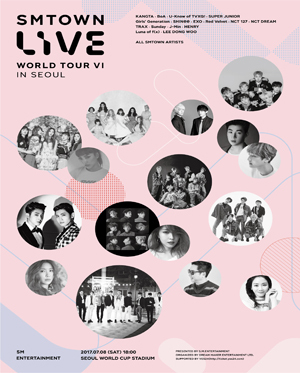 On July 8, SMTOWN LIVE WORLD TOUR VI in SEOUL held at at the Seoul World Cup Stadium in Sangam, Seoul. A variety of SM artists including TVXQ Yunho, BoA, Super Junior, Girls' Generation, SHINee, EXO, Red Velvet and NCT took part in the concert, while a total of 45,000 fans gathered to watch the concert. The idol stars absolutely showed high quality performance, and it's also notable that they showed various collaborative performances. EXO's Chanyeol and Red Velvet's Wendy performed "Stay with me", and Super Junior's Kim Heechul and EXO's Baekhyun sang "Sweet Dream". And BoA and EXO's Sehun performed "Only One" together, electrifying audiences. After performing their hits including "Overdose" and "Lotto", EXO communicated with their fans. Suho proved laughter from the crowd by saying "You know, I control water, and that's why it doesn't rain today", while Baekhyun said "What's important is that we could become who we are thanks to Lee Soo Man", making the crowd chant Lee Soo Man's name. Especially, Suho gave a hint about EXO's upcoming comeback. He stated "We're about to make a comeback, and our fans and we are really looking forward to it. We're expecting to hit a home run this summer". You know, Red Velvet made a comeback with its new song "Red Flavor" on July 9. And at SMTOWN LIVE WORLD TOUR VI in SEOUL, the girl group performed the song for the first time. "Red Flavor" is a energetic dance song which has catchy melody. The song is a cheerful song just like "Dumb Dumb", "Russian Roulette", and "Rookie", but the song is more melodic. And the song is also very easy to sing along to, while Red Velvet showed very impressive dance performance too. They were cute and lovely, and it is expected that the song will be loved by many people. Girls' Generation electrified its fans by performing its various hits such as "Hoot", "Party" and "Gee". You know, the members stood on the same stage after a long time, and they looked so happy about it. 2017 is a special year for Girls' Generation. The members will mark the 10th anniversary soon, and they are preparing for special events to celebrate the 10th anniversary. They will hold a 10th anniversary fan meeting, and they will release their new album too. It seemed the Girls' Generation members are very excited about their 10th anniversary. They said "You know, we'll mark our 10th anniversary soon, and we're really looking forward to performing our new song on the stage. We're aching to perform the song. We'll show it to you soon, and we're working really hard on our new album". Sadly, only four Super Junior members, Lee Teuk, Kim Heechul, Yesung and Shindong took part in SMTOWN LIVE WORLD TOUR VI in SEOUL. Choi Siwon, Donghae, Eunhyuk, Ryeowook and Kyuhyun are currently in the military service, while Kangin is having time for self-restraint after driving under the influence of alcohol. And Sungmin decided not to take part in the concert because some of Super Junior's fans have recently asked the group to kick him out. In this situation, the four members seemed to be filled with emotions at the concert. After performing Super Junior's hits such as "Sorry Sorry", "Bonamana" and "Magic", Kim Heechul said "We have only four members here, and we even were not sure if it's good for us to perform on the stage as a 4-member group", while Yesung couldn't get words out properly, shedding tears. And Lee Teuk asked for fans' love by saying "Super Junior is my life. Since I debuted, I've been living thinking only about Super Junior." TVXQ's Yunho was discharged from military last April, and he hit the stage after a long time by performing at SMTOWN LIVE WORLD TOUR VI in SEOUL. He along performed TVXQ's songs including "Mirotic" and "Why", and he performed his new song "Drop" for the first time too. As a king of k-pop, he absolutely showed awesome performance. By the way, while performing on the stage, Yunho's pants were torn because his dance moves were so vigorous and he danced passionately. 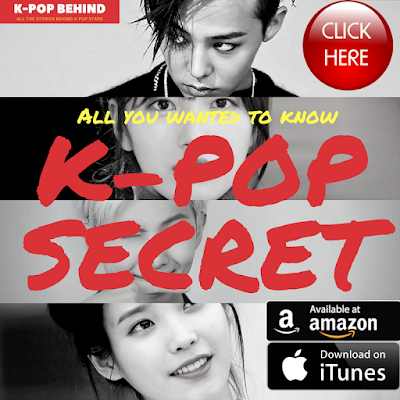 But the experience k-pop singer acted professional. He changed his pants, and he gave it his all until it's over.